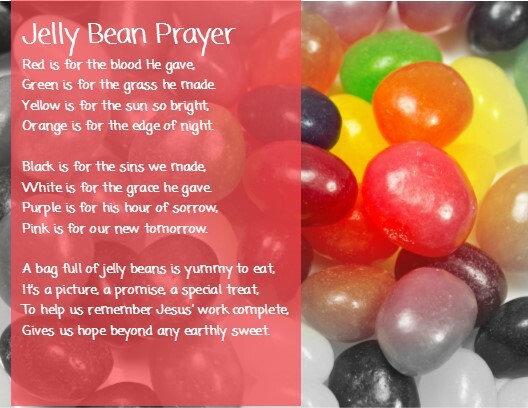 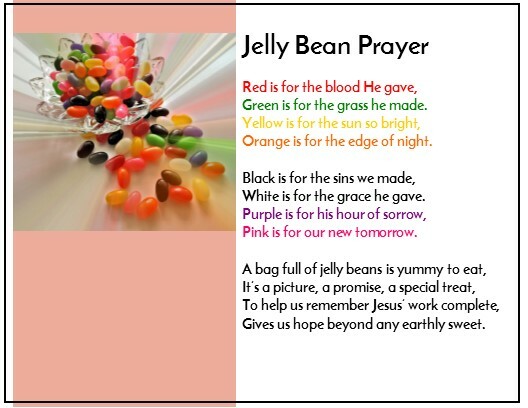 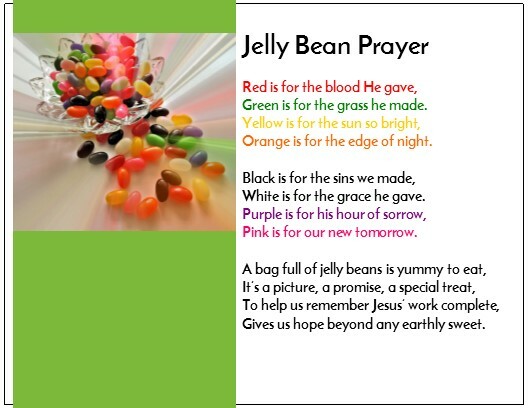 At the end of this article is the text for the Jelly Bean Prayer that you can use to create materials for Easter for Children. 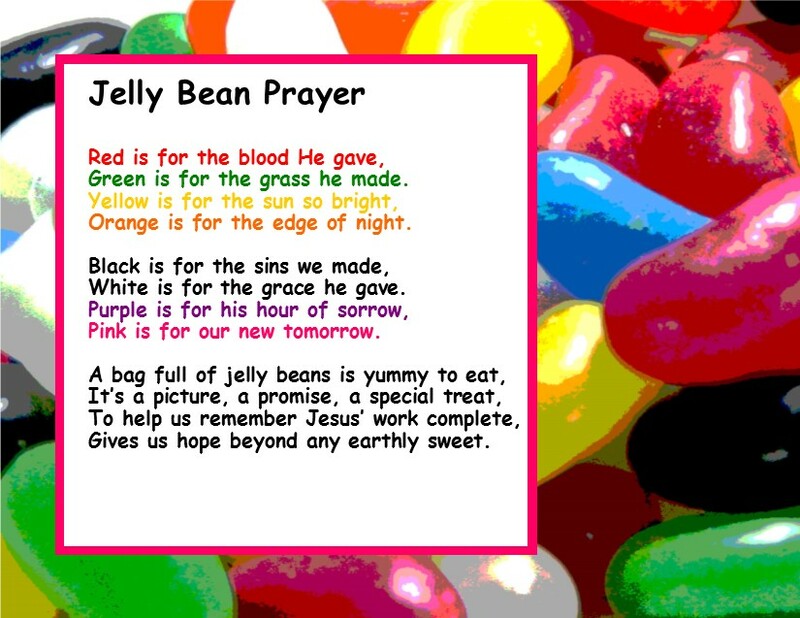 Gives us hope beyond any earthly sweet. 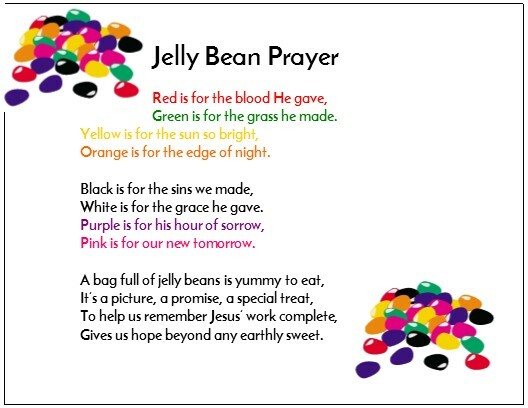 I recommend printing the prayer above on lightweight card stock which gives them more body for children to hold and also turns it into a piece that a family can save and perhaps put on the fridge or family bulletin board.